Post-traumatic stress disorder or PTSD is a mental health condition that is triggered by either experiencing or witnessing a traumatic event. The symptoms of PTSD can range from flashbacks, mood swings, anxiety, nightmares, and intrusive memories of the event. Its symptoms can manifest within a month after the incident that caused it or years later, and the symptoms may vary from person to person. 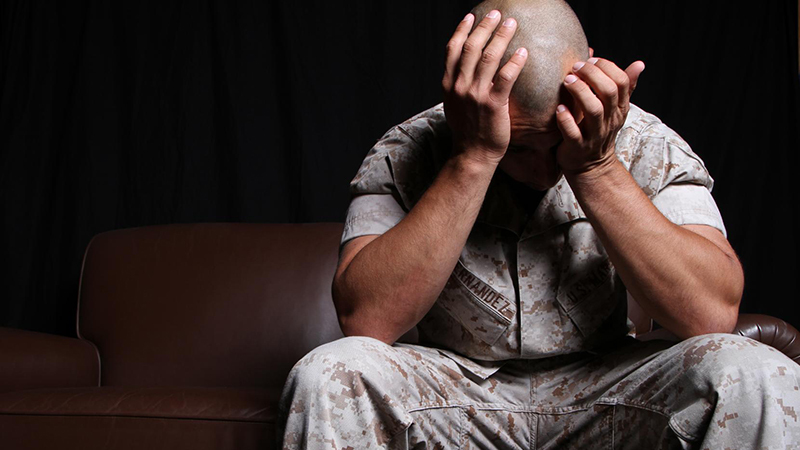 Post-traumatic stress disorder is commonly associated with people who have served in the military, but other traumatic experiences like being in a car accident can trigger PTSD as well. Having a loved one with PTSD can be a very challenging situation. The person you love has changed, and there may be times when you feel a desperate need to help your loved one recover from the trauma as quickly as possible. You just want to get back to the way things used to be before the traumatic event and continue your life; however, like any other mental health condition, the person living with PTSD may need quite some time to recover and function again. As a person who cares for a person with PTSD, you need to be patient. 1. Do not force them to talk. – To you it may seem healthy to talk about the trauma, get it all out in the open so that you can deal with it; however, you must understand that talking about the traumatic experience can be very difficult for your loved one. What you can do is let them know that you’re willing to listen when they are ready to talk. Let them take the lead when it comes to opening up about their trauma because they were the one who was part of that experience and it’s their story to tell. 2. Listen. – When your loved one has finally found the strength and courage to open up to you about the traumatic experience, you need to listen. Make sure that they know that there is no judgment or expectation when they talk to you, that you are paying attention because you care and are interested in their well-being. 3. Avoid giving platitude and advice. – While talking to your loved one, you might feel the pressure to provide guidance, but unless your loved one specifically asks you for your input, it’s best to avoid advising them. What they have been through is something that you will never fully understand, and you have to accept that. You may end up offering your loved one the wrong advice, or your words may be taken as platitude and make them feel more isolated and alone. 4. Find “normal” activities to do. – It’s best that you try and do “normal” things with your loved one. Present your loved ones with ideas that are fun to do like hobbies that you think they will enjoy; arts & crafts, fitness classes, music classes, and even cooking classes. Immersing themselves in things that have nothing to do with their trauma and PTSD may help them recover faster. 5. Make them feel safe. – Assure your loved one that you care about them; that you’re going to stay by their side as they try to recover from PTSD. Start creating routines inside your home; a regular schedule can help make your loved one feel safe and secure. Talk about the future and make sure to include your loved one, this will lessen the feeling of doom that most PTSD sufferers experience. 6. Try to anticipate and handle triggers. – Triggers can be anything that sets off the symptom of your loved one’s PTSD. A particular sound that reminds your loved one of the traumatic experience can set off an anxiety attack or nightmares. Try to talk to your loved ones about these triggers and work out a plan to manage them. When they have a bad dream, how should you wake them up? Would it be better if you shook them awake or try a more gentle approach? Knowing and planning for these things can help you be in a better position to calm your loved one down. Recovery from PTSD can be very demanding, not just for the sufferer, but also for their support system. What you must understand is that it may take some time, and there may be setbacks before your loved one can recover from post-traumatic stress disorder, but you have to be patient and if you can, try to learn more about PTSD.